We opened our doors on November 1, 2001 with the hope of providing a space where individuals could come to learn about the importance of living more responsibly while offering an important economic injection to the small community where we decided to call home. 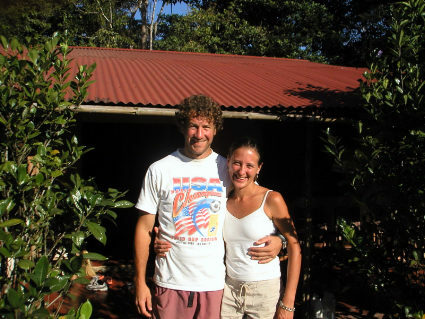 Since that momentous day, on the heels of some eventful weeks traversing the American West and much of Central America in our two trusty Toyotas, the Ranch has evolved into an organism that has touched the lives of thousands of people in ways that have inspired them to become better citizens of our world. 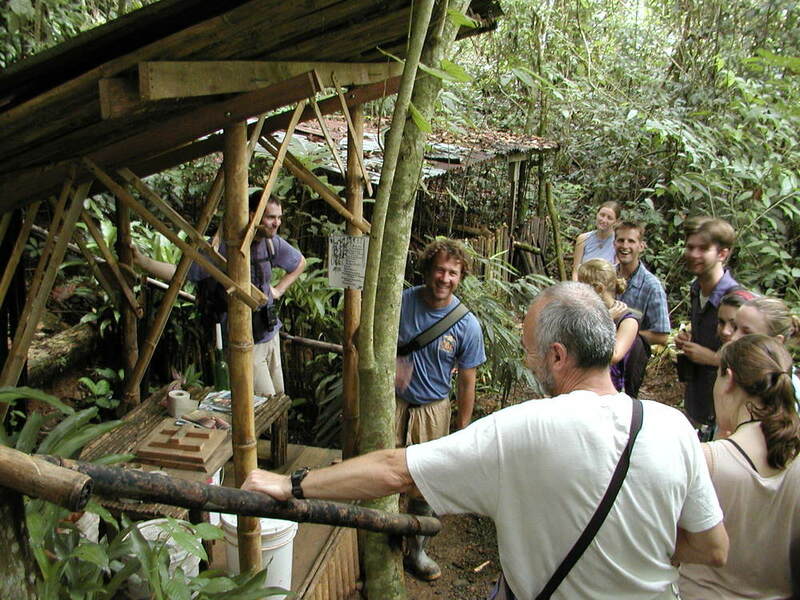 We currently host workshops in an array of areas such as wilderness medicine, renewable energy, natural building, and permaculture and annually receive hundreds of dynamic middle school, high school, college and university students who come to learn about responsible community development, the importance of the world’s rainforests, and how to tread lighter on Mother Earth. The bustling Ranch environment has been a laboratory of social betterment and learning while playing a critical role in the financial improvement of this little corner of Central America. We work hard and play even harder as we endeavor to strike a balance that allows us to be both compassionate and happy while laboring to improve the state of our world’s affairs. The pervasive exchange of wisdom, creativity, guidance and love that takes place at the Ranch is what helps to drive us to be good denizens of our surroundings. But with that said few would doubt that it’s the amazing cuisine that flows out of the Ranch’s kitchen that truly inspires, fuels and allows it all to happen. Without the healthy, mouthwatering, homemade food that magically appears out of our small kitchen three times a day, I would now be writing a much different story. Robin insisted from the moment that we passed through the Ranch’s gates that we would provide our guests with scrumptious, wholesome food at almost any cost. Food is the centerpiece of life at the Ranch. It brings us together and sustains us thrice daily. Everyone that spends time with us can be comforted after a well-earned night’s rest or a hard morning’s or afternoon’s work by knowing that soon they will be sitting down to a delectable, filling and life-giving communal meal. And as is so often the case during Ranch meals, the conversation can be as stimulating as the culinary spread. It is commonly a magical combination. Our first Ranch project ever was to build a cob oven made from materials harvested and amassed in Mastatal. The sand was gathered and sifted at the Quebrada Grande, the rock hauled from it’s swift waters, the clay excavated from William’s father-in-law’s farm in Salitrales, the straw collected from Chepo’s rice harvest, and the manure gathered fresh from the buttocks of Tino’s cows. With the help of our first volunteers, Robin industriously hand-laid the stone foundation. We then began mixing the collected ingredients for the oven cavity and there commenced our love affair with cob. 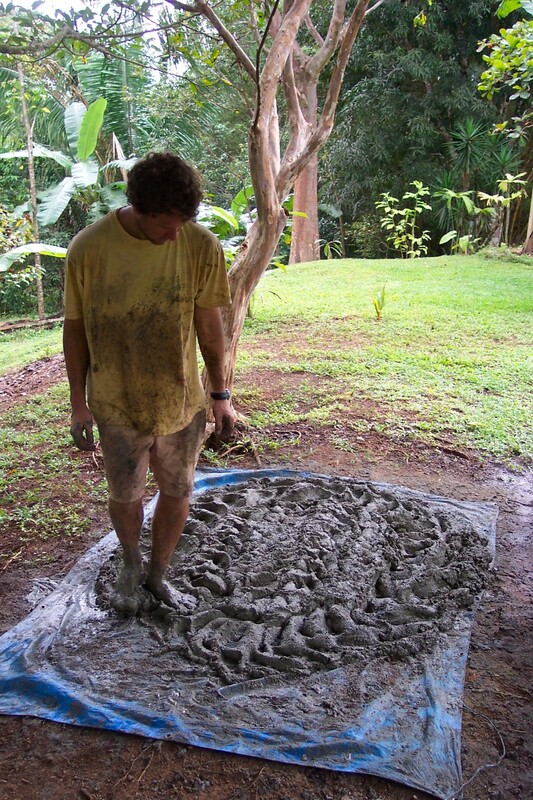 We’ve been mixing mud, teaching food production and processing skills, and creating a unique community in our little corner of Central American ever since. We want to express our sincere gratitude to everyone who has passed through our doors to contribute to our work and the well being of our community. As much of a challenge as it’s been at times, we have lived a blessed life in Mastatal thanks to all of you. Gracias a ustedes, a la madre tierra, y buen provecho! Pura vida y nos vemos.